UDM Downloads > Jigs@w Puzzle Promo Creator! 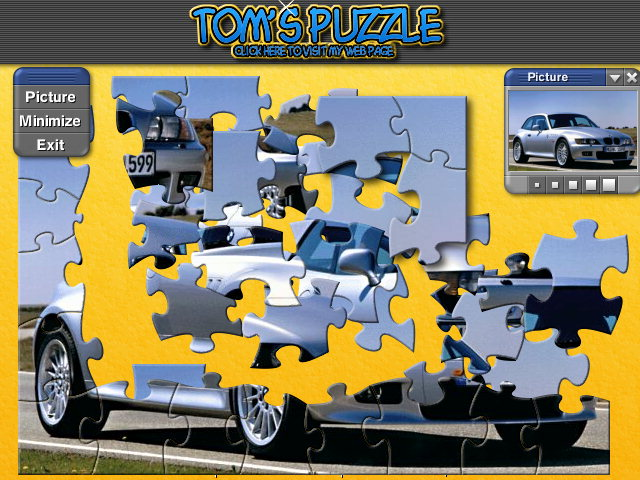 Jigs@w Puzzle Promo Creator is a wizard, which will assist in fast and easy creation of your own promotional jigsaw puzzle games, the so-called Jigs@w Puzzle Promos. Jigs@w Puzzle Promo is a small executable file, after running it a playing field is displayed in the lower part of the screen and your advertising banner or logo is displayed in the upper part of the screen. It is of course possible to make a link from the banner to your web site. It is also possible to use the animated banner and get a considerable amount of space for your presentation. All texts are localizable or changeable. Regarding the fact that Jigs@w Puzzle Promo is very small, it is possible to exhibit it on your web site, distribute it via e-mail, on a disk or CD-ROM. Powerful and absolutely free!